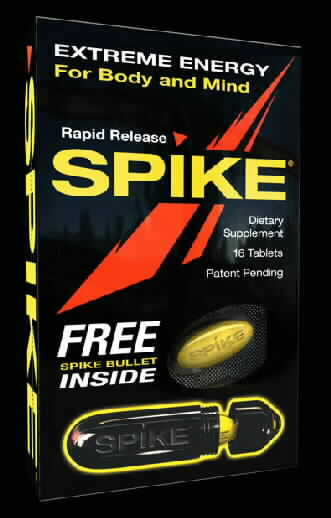 NEW - Biotest Spike for Brain & Body power. (Pete) - I'll not bore you with the usual Biotest hype, but I have a pot of Biotest Spike open as I type this, and have found it pretty good at keeping me flying along on the evenings that I am slaving away over a hot keyboard until the sun comes up. I haven't taken it religiously on a daily basis so can't comment on the effects of continual use, but did make the mistake of inadvertently taking a double dose along with a capsule of Inferno which made me extremely "wired" for about 4 hours. Certainly not something to be recommended though! Unfortunately the way Biotest have labeled the ingredients within Spike, we can see it's got caffeine, but at what amount it's impossible to say. However, It is strongly suggested not to take it with any other stimulant based products. Here's what one of our fellow posters on uk.rec.bodybuilding had to say about his recent Biotest Spike experiences at the 2006 Mr. Olympia. If you are looking for something different to your usual train/brain stimulant, it might be worth a try. DO NOT TAKE WITH ANY OTHER STIMULANT OR WEIGHT-LOSS SUPPLEMENT. DO NOT EXCEED TWO (2) TABLETS IN ANY 24-HOUR PERIOD. one tablet per day for three days prior to increasing the dose. Storage Instructions: Store away from heat, light, and moisture. conditions. Discontinue use if you experience dizziness, headache, nausea, chills, fever, muscle/joint aches, or heart palpitations. If you have trouble sleeping, do not take within 6 hours of bedtime. Latest Mind & Body booster. Ideal as a pre-workout boost or at times when a mental edge is required. Currently includes FREE tablet carrying "bullet" ! Maximum suggested dose is 2 capsules in 24 hours.